The heartbeat of Victoria tech is now open at 777 Fort Street. Co-working space, event hub, and home to the VIATEC accelerator program. Together we’re boosting Victoria’s tech sector. Our space can accommodate anywhere from large networking events to small brainstorming sessions! Fort Tectoria came together in 2014 thanks to VIATEC Members. Naturally, members receive some pretty great perks, including free credits and discounts on event space! Built by members, built for members! If you're a non-member, a VIATEC Member needs to put your name forward so you can have rental access at the full rate. We are most interested in supporting events related to entrepreneurship, creativity, innovation and technology. Contact aarani@viatec.ca for info & to book. 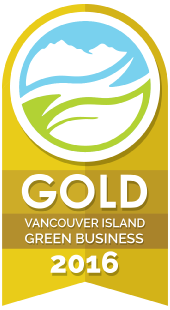 Each year, Fort Tectoria strives to create an environmentally conscious space. We’ve implemented practices that reduce our waste, emissions, and consumption. In addition, we are continuously finding new ways to minimize our environmental impact. 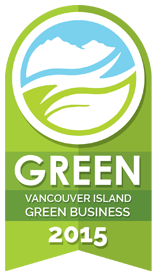 Fort Tectoria is proud to be certified by the Vancouver Island Green Business Collective. 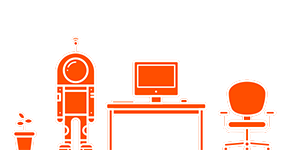 Become a part of Victoria’s ever-growing tech community. 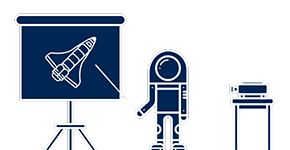 Curious about VIATEC's accelerator and other support programs? These programs, hosted within the Fort Tectoria space, are not mandatory for tenants. They include the Venture Accelerator, the Entrepreneurship Program, the Mentor Program, and Market Validation Training; each designed for different stages of a startup cycle. The takeaways include defining a business model, growth, coaching, getting to market, and landing your first customers. © 2018 Fort Tectoria. All rights reserved.